The severe weather event feared for the past several day has started even earlier than expected. 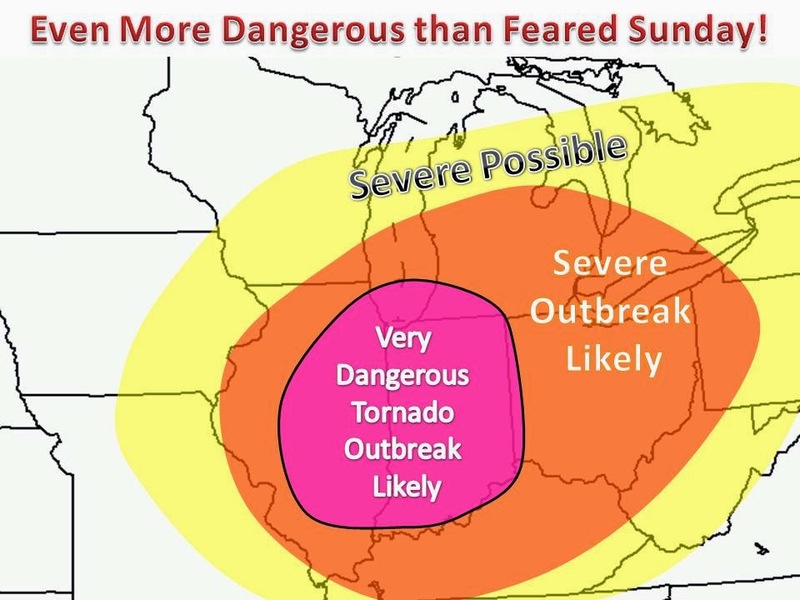 A PDS tornado watch is already in effect for Illinois and southern Wisconsin. The threat will shift east throughout the afternoon. Tornado indices are forecasted at a 9!! Thats a 90% chance of a tornadoes with 50 miles of a particular point. The atmosphere is maximized in terms of tornado ingredients. There is already three PDS (particular dangerous situation) tornado watches already issued. Here is a simulated radar for 2:00CDT this afternoon. Showing lines of supercell thunderstorms with no doubt embedded tornadoes. We cannot emphasize how dangerous this day will likely turn out. 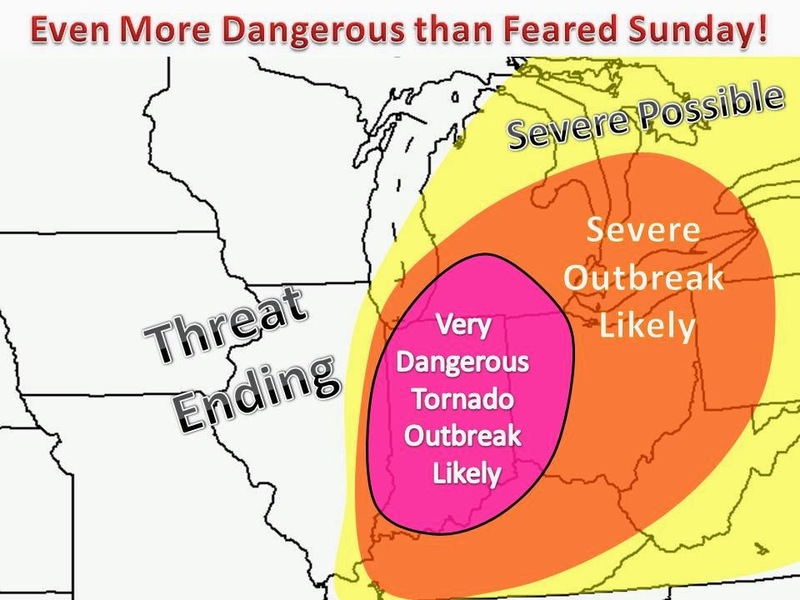 We can only hope that the tornadoes can stay away from heavily populated areas, but the highest risk is over a high densely populated area in the Midwest. Stay safe out there today! Be sure to check back for updates or follow us on our facebook page which you can "like" on the right of the page.